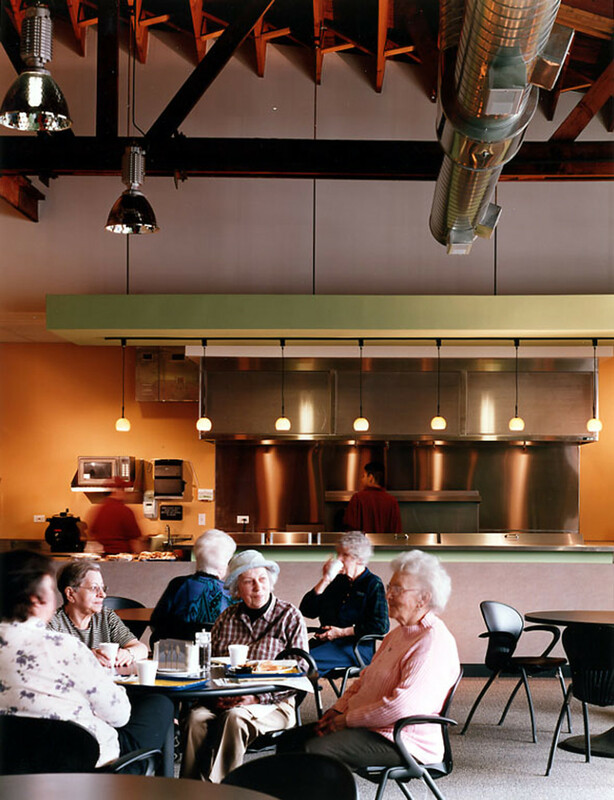 Mather LifeWays is a not-for-profit organization that leads the way in best practices for senior living. 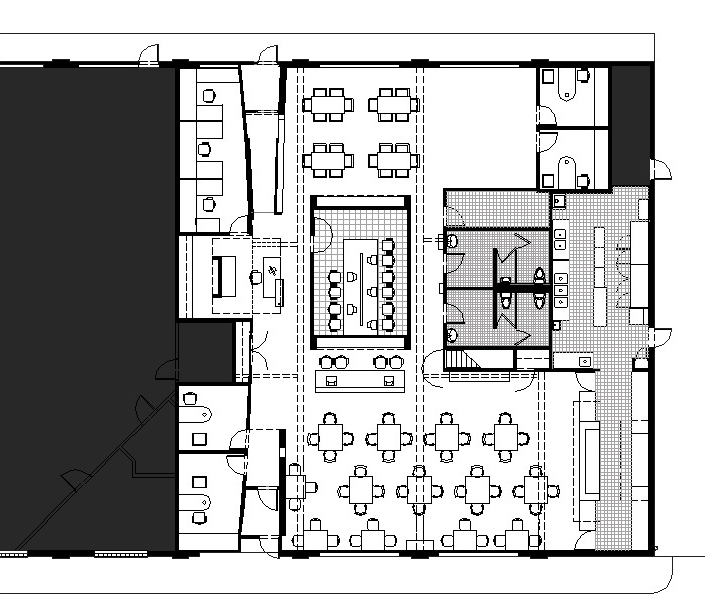 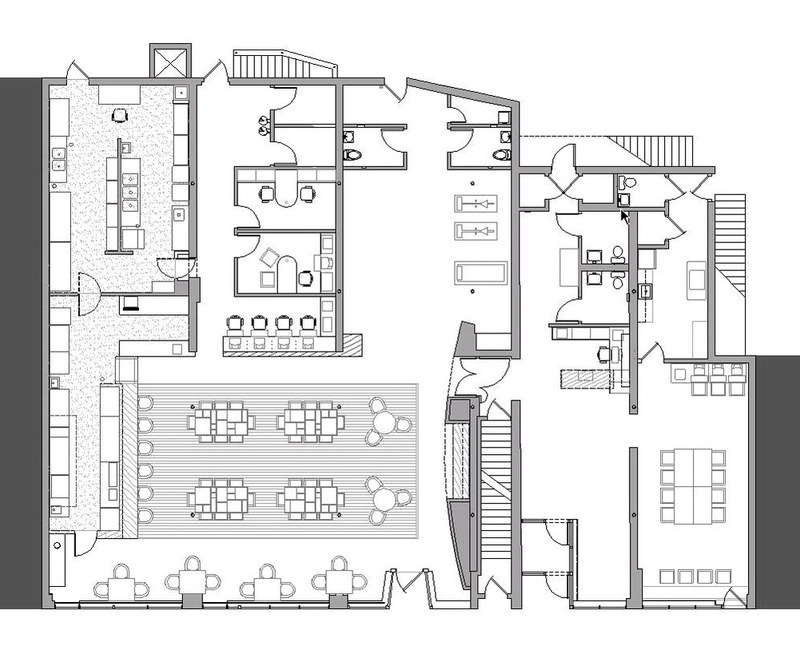 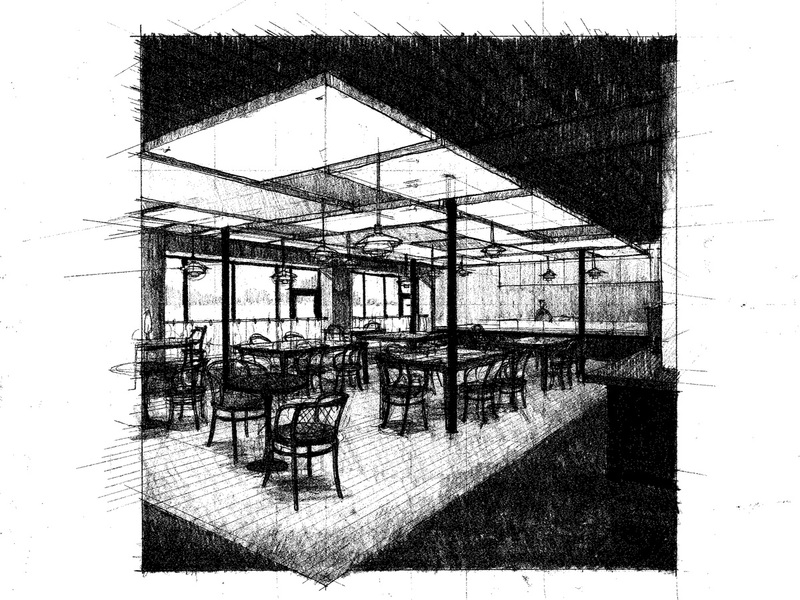 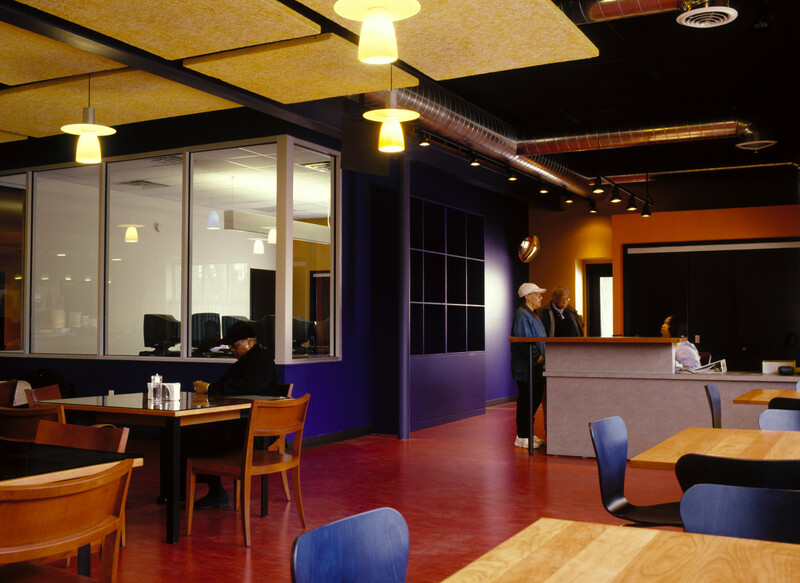 Mather’s More than a Café started in 2000 with the leasing of approximately 6000 sf of storefront space in the Galewood neighborhood of Chicago for development of a prototype café facility. 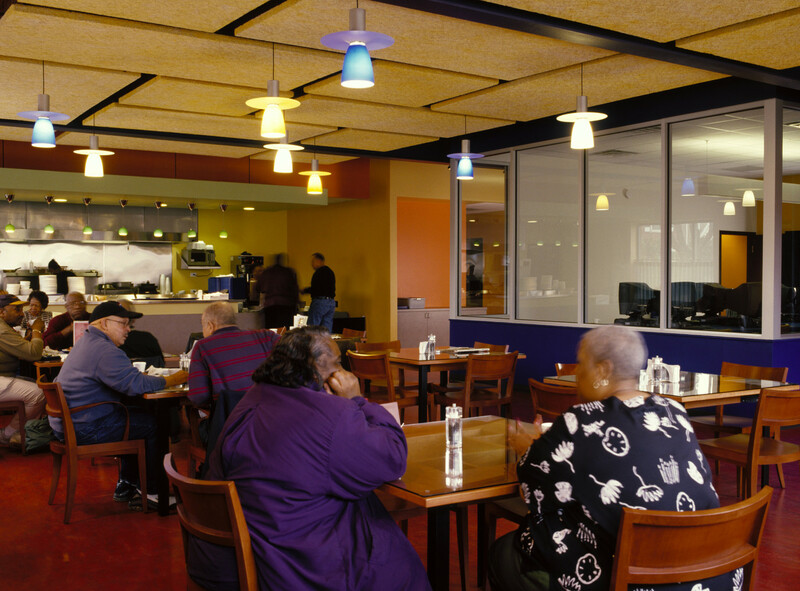 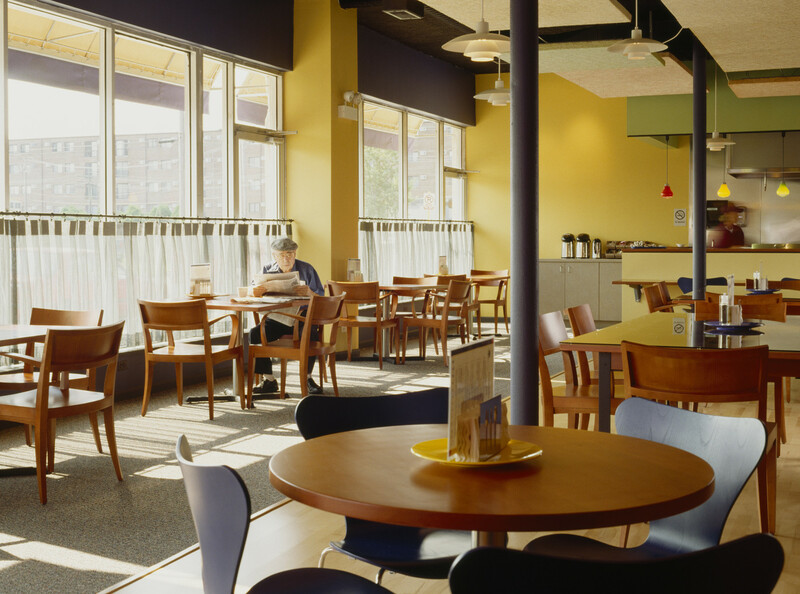 The café serves as a neighborhood based administrative outpost as well as senior services center. 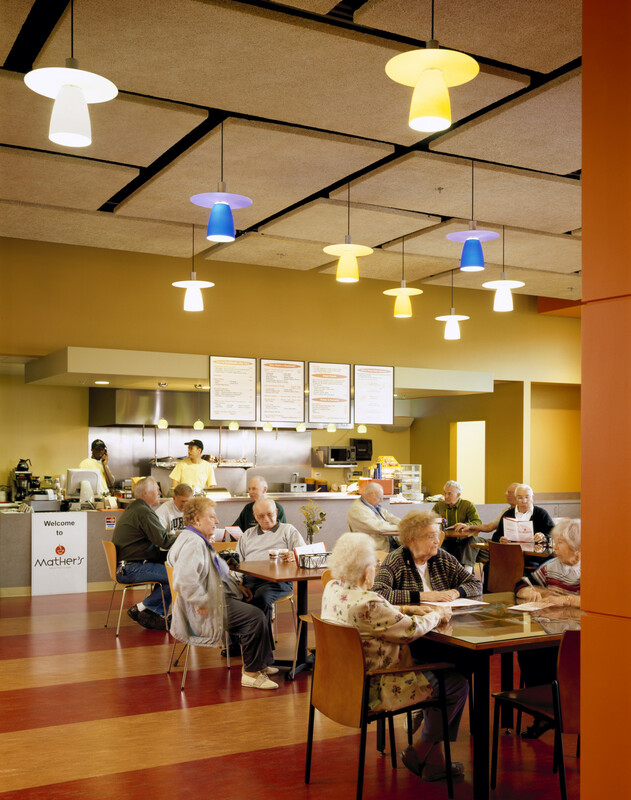 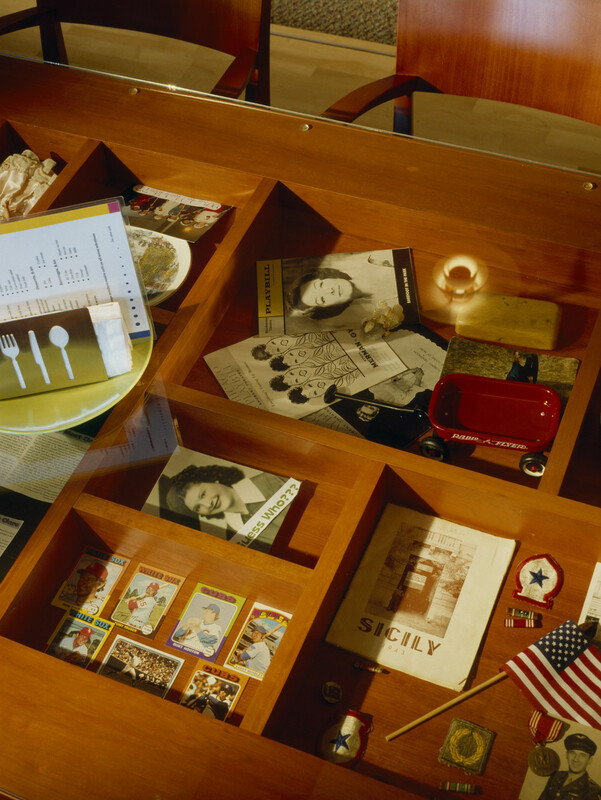 Along with the social component of the café, the senior services provided include computer classes, medical assistance, financial counseling and exercise classes. 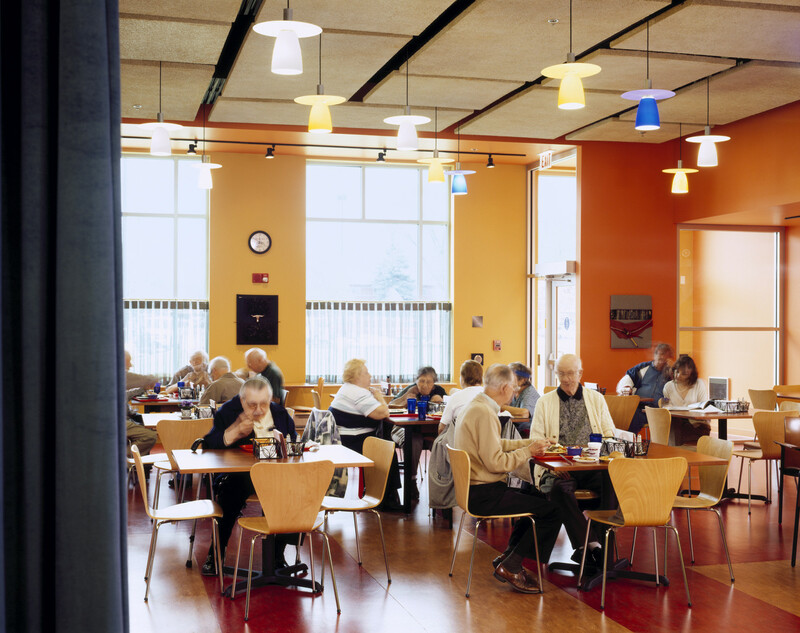 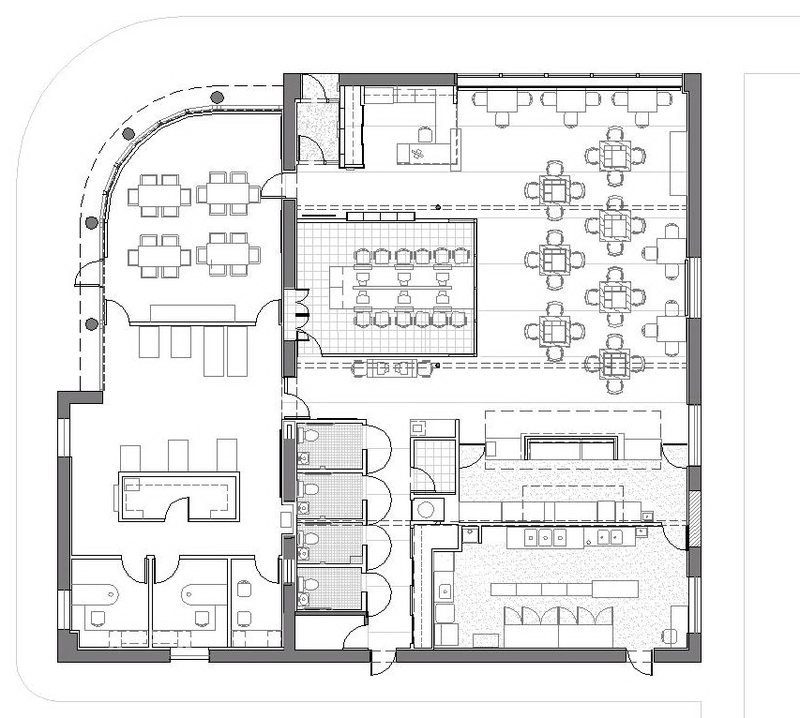 The facility is fondly referred to as a “Starbucks for Seniors”. 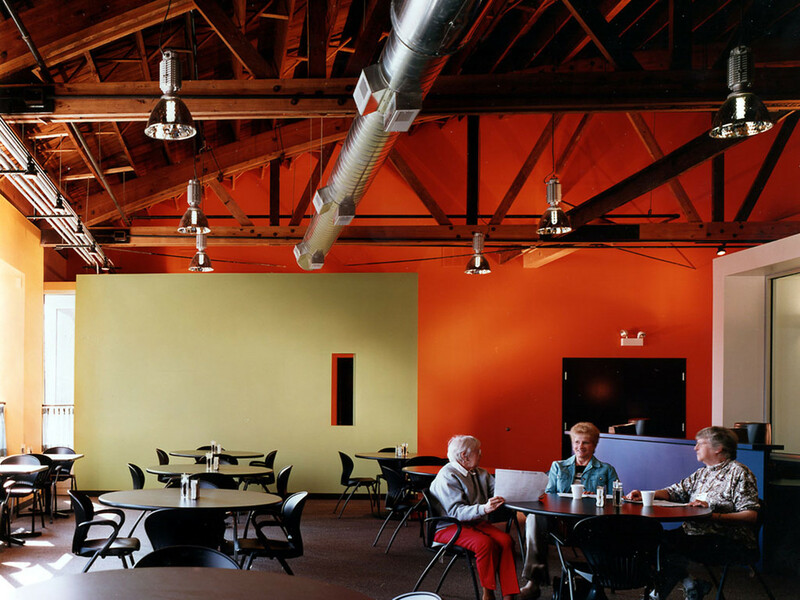 We worked with Mather on three additional More than a Cafés serving the Chicago neighborhoods of Norwood Park, Portage Park and Chatam. 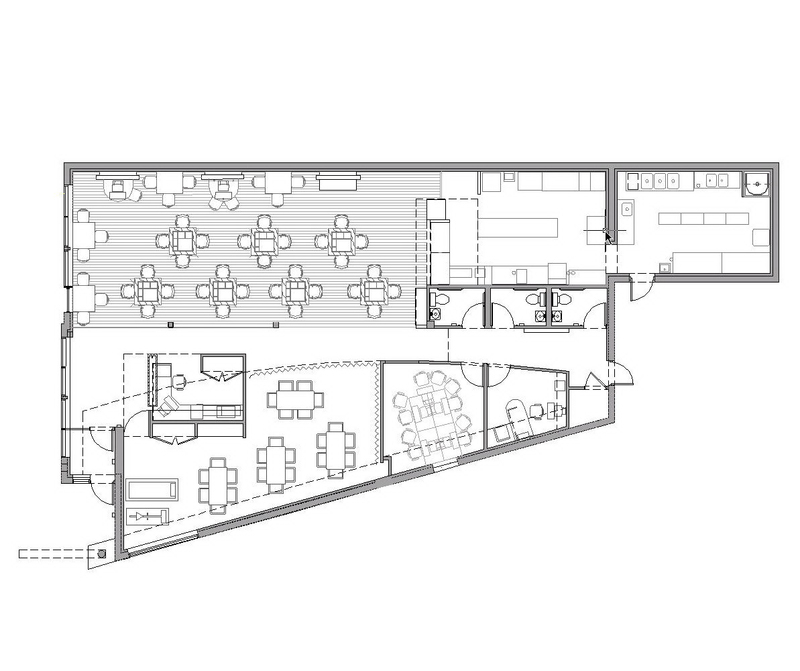 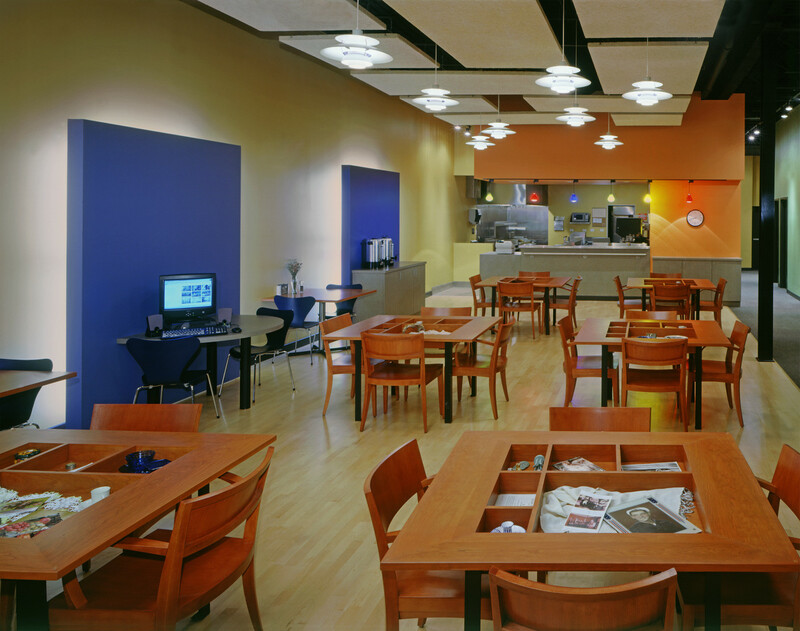 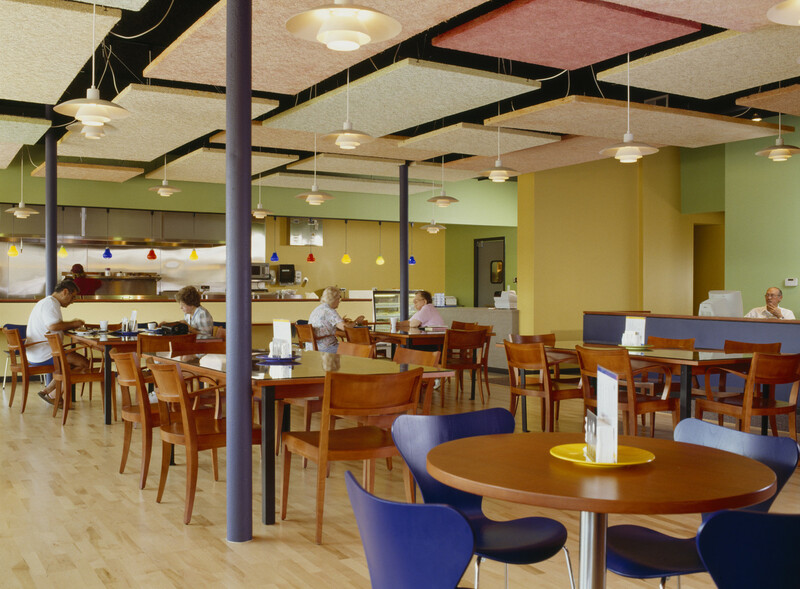 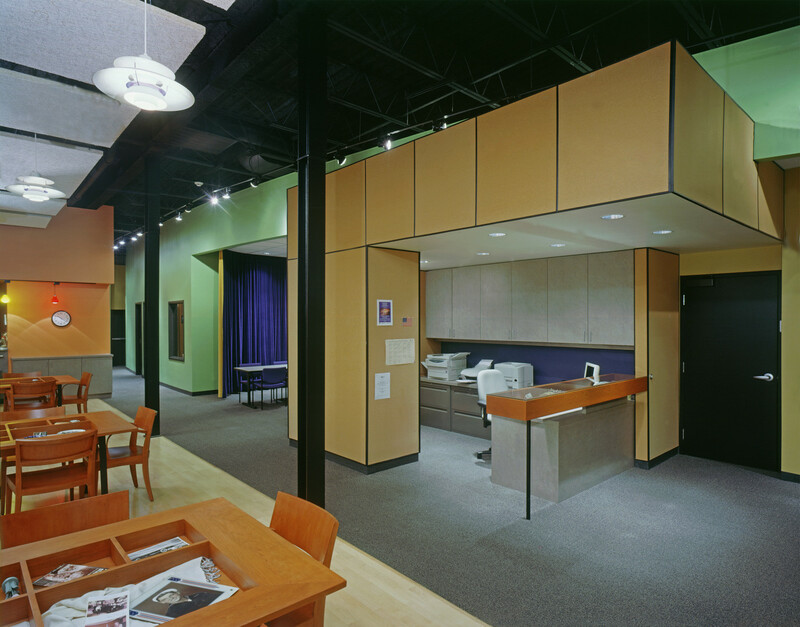 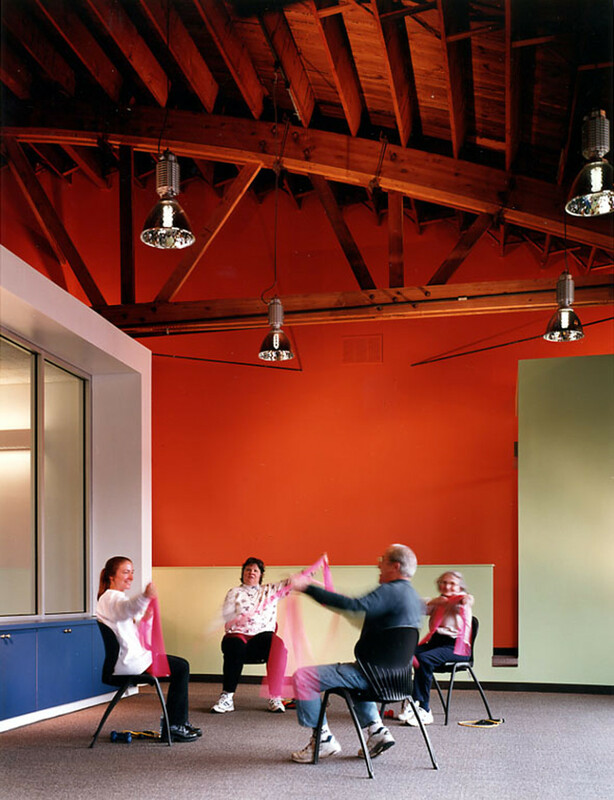 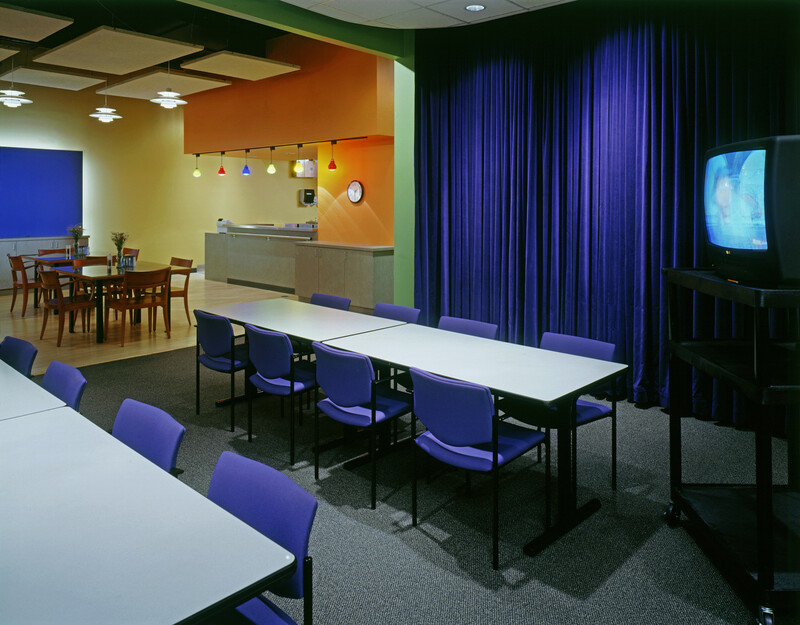 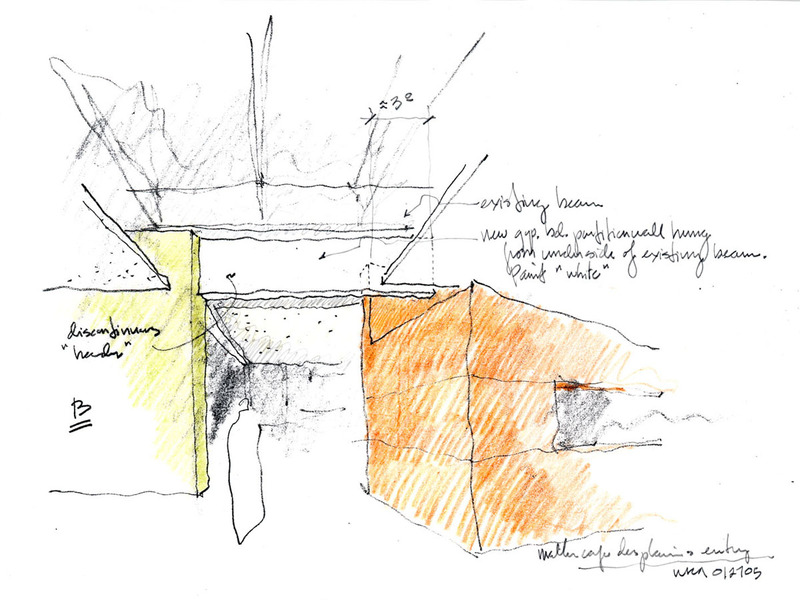 The architectural details and palette developed in the prototype facility continue through the series of cafes; cherry shadow box café tables (filled with objects provided by members), tectum floating ceiling panels, oiled naturally colored MDF and brightly colored volumes.